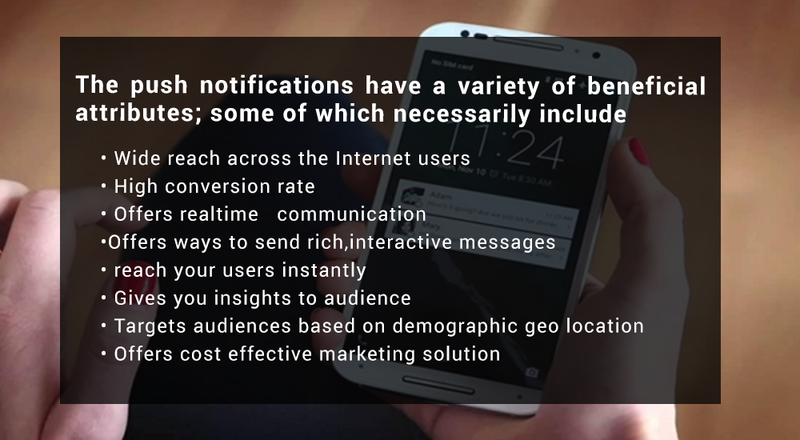 Push notifications are going to redefine the new generation of social messaging. While for a general user, it can multiply the level of personalized communication; for a marketer; it can unearth entirely new sources of revenues. Read on! 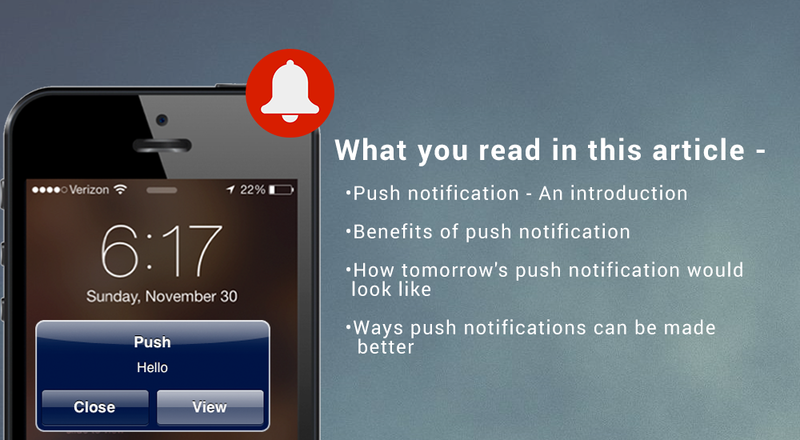 Push notifications are messages sent via push notification service to a mobile app. A push notification is populated with interesting content - a promotional coupon, invitations, proximity alerts, social media activities that require attention etc. The primary objective of any push notification is to attract the attention of its reader and then influence him/her make an action such as purchasing a product/service. Tomorrow's push notification might be the face of social messaging. Think of a built-in control panel with smartphones that allows users to customize the way they receive notification, mould it according to their preference. Think of a notification system that uses data to offer standalone and useful set of most practical information. Think of a notification system that integrates AI to predict and act on user preferences. The push notifications would be literally everywhere tomorrow. Think of it as a connected communication process. From self driving cars to advance ticket booking to predicting human intelligence, notifications will be available everywhere! More personalized communication is important for better functioning of push notification. More predictable behavior is required for intelligence defining which means integration of AI can channelize communication in more meaningful way!